The whole team welcomes you to La Baule, the perfect place to stay in our region, whether you're traveling for business or on vacation. 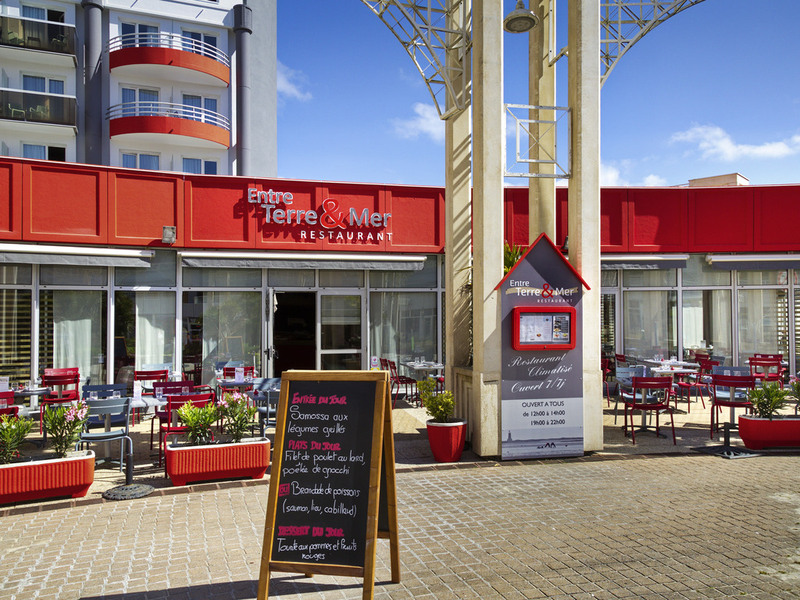 A warm welcome, friendliness and professionalism await you, with the added bonus of a seafront location! The ibis La Baule Pornichet Plage hotel is located 55 yds (50 m) from the beach, 328 yds (300 m) from the Casino and 5 minutes from the town center, TGV station and race course. The hotel is adjacent to the Valdys-Thalasso.com Baie de la Baule center. The fully renovated ibis La Baule Pornichet Plage hotel has 88 rooms, a bar, restaurant with terrace and two meeting rooms. The hotel is ideal for both business trips and family stays, whether with or without thalassotherapy treatment. Discover Baie de la Baule and its surrounding areas, including Brière Regional Natural Park, the Guérande salt works, Saint-Nazaire and the Loire estuary, fishing ports and much more. There are exciting getaways on offer for everyone. Technologia światłowodowa oferuje najszybsze z możliwych połączenie z Internetem. Our chef cooks up creative and tasty meals from fresh, seasonal products. Unlimited hors d'oeuvre buffet at lunch, and stews and hearty salads in the evenings. Take a moment to relax in the restaurant or on the terrace. Our bar is a lively place conducive to relaxation. Make the most of the large drinks selection. No matter when cravings strike, we can prepare snacks that you can eat at the bar or take to your room, available 24 hours a day.